Exceptional care about your carpet. We know how to handle all textures and textiles! Call now! With years of experience in rug care we know how to deal with any luxury textile. Get a quote today! We may handle repair and restoration of any carpet and rug. Contact us today for a quick estimate! Furniture of any kind is in good hands with our team. We will clean, restore and refresh any fabric! See our state of the art process by clicking the link below! Oriental rug cleaning and repair – With our proprietary 5-step Luster Wash cleaning process, we remove your Oriental rugs, whether handmade or machine made, take them to our facility, the largest of its kind in the U.S., where we have the equipment for thorough and proper cleaning. 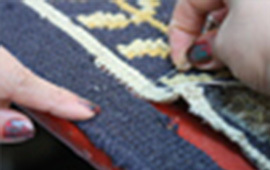 Our master craftspeople reweave holes, restore moth damage, repair fringes and bindings, and more. 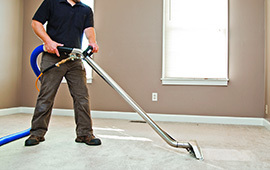 Carpet cleaning – Our in-home carpet cleaning process uses the water extraction method, also known as steam cleaning, to make sure the least amount of soap residue remains in the carpet. With our Ultra Clean process, we apply a safe anti-microbial treatment and carpet protector. Antique rug restoration – Persian and other rugs of value warrant extraordinary care. Our certified rug specialists understand this, and provide a highly specialized hand-cleaning service, always ensuring your rugs receive the best care and treatment possible. Our specialized process restores their beauty while taking care to ensure the wool and rug fibers are free of residue that leads to re-soiling. Carpet padding – Properly padded carpets create a soft feel and step to the carpet, make carpet cleaning easier, provide thermal insulation, and serve to reduce sound. We custom cut your pad to ensure your carpet receives maximum protection and does not lose its durability. Hand rug cleaning – We hand clean or dry clean rugs that require special care and handling. All work is done by hand, using a specialized dry cleaning method. We always recommend this process for linen, viscose, and silk rugs, antique and fragile textiles, and rugs containing color dyes that could run if cleaned using a wet method. 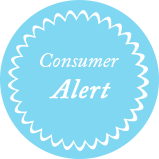 Rug blocking – Misshapen or wrinkled rugs not only distort the look of your rug, they pose a tripping hazard for anyone who walks on them. Our professional rug-blocking process can help by carefully stretching and shaping your rug to make it flat again. What can I expect when I do business with the Certified Rug Specialists at Rug Renovating Co? 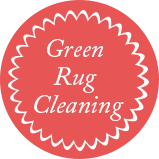 Expert rug and carpet cleaning – Our company started in 1896. 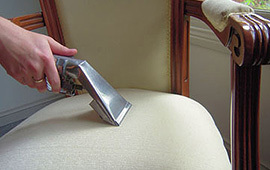 We offer a full line of carpet and rug cleaning and restoration services as well as furniture and upholstery cleaning. With a hands-on, personalized approach, we’ve earned the trust and respect of over a half-million residential and business customers. Certifications and expertise – You can trust in the knowledge, expertise, and experience of our 3 on-staff Certified Rug Specialists (there are only 55 in the U.S., and we have the only 3 in the New York City area), who are among the most highly trained in the country, with certifications including IICRC, RIA, New York Rug Cleaners Institute, National Institute of Rug Cleaning, Wool Care Specialist, and the Association of Rug Care Specialists. 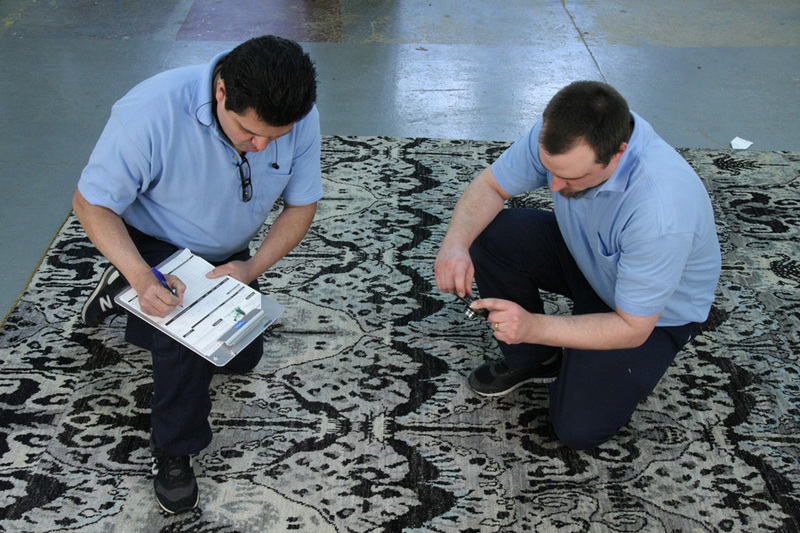 Work performed by master craftspeople – We make virtually any type of rug repair, whether your rug is antique or contemporary, handmade, or broadloom carpet. We reweave holes, re-nap worn areas, restore moth damage, repair seams, resize the rug, rewrap edge binding, repair fringe, and more. 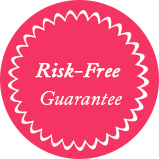 Guaranteed price quote – Experienced service consultants provide a firm price quote in writing based on your exact needs. 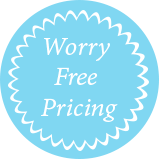 We discuss your rug type and size, and any special requirements or treatments, and apply a square-foot pricing method for an accurate price quote. 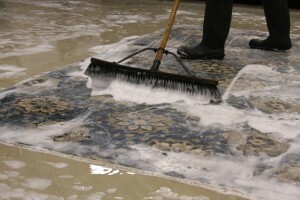 Extensive rug-cleaning methods – Every rug is different and each requires its own type of cleaning, from steam-cleaning carpets in your home to performing our professional rug cleaning services at our state-of-the-art facility, the largest in the U.S. Methods include our proprietary Luster Wash, soap wash, hand cleaning, and dry cleaning. Tips and insights for care and maintenance – Learn the gamut of care and maintenance tips for all your rugs, carpets, furniture, and drapes. Proper maintenance of home furnishings extends their life, keeps them beautiful, and ensures a clean and healthy living environment. Expertise beyond carpeting – We clean all types of upholstered furniture in your home, including leather, fabric, and even silk. Our certified cleaning technicians determine the best cleaning method for the fabric or leather on your furniture, and consult with you on our process and the results you can expect. Easy for you! – We make it simple by moving furniture during pickup and delivery, and put your rug back where you want it to go. 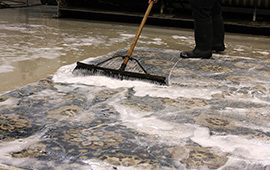 Wide geographic coverage – We service a wide geographic area in the New York-New Jersey-Connecticut region, and have the largest rug cleaning facility in the country. We provide both free pick up of your rug at your home to remove it to our fully equipped facility and free delivery after final inspection back to your home. Call Rug Renovating Co. today. Our helpful customer service and support team is available to answer all of your carpet and rug cleaning questions.